The exploratory eye movements of schizophrenia patients and their relatives have been shown to differ from those of patients without schizophrenia and healthy controls. However the mechanism of exploratory eye movement disturbances in schizophrenia patients remains elusive. We investigated the relationship between the exploratory eye movements and brain morphology in 39 schizophrenia spectrum patients. Voxel–based morphometric analysis on three–dimensional magnetic resonance imaging was conducted by means of statistical parametric mapping 99. The decrease in the responsive search score, which is the total number of sections on which the eyes fixed in response to questioning in a comparison task, was significantly correlated with the decreased gray matter in the right frontal eye field (rFEF) including the right supplementary eye field (rSEF), right parietal eye field (rPEF), and right inferior frontal region. 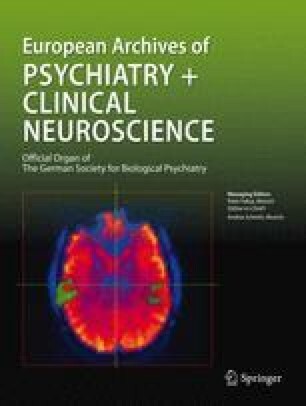 These results suggest that disturbance in exploratory eye movement in schizophrenia spectrum patients may be related to neural network dysfunction in FEF, SEF and PEF, which are the eye movement related areas, and in the inferior frontal region that may be related to information organization.